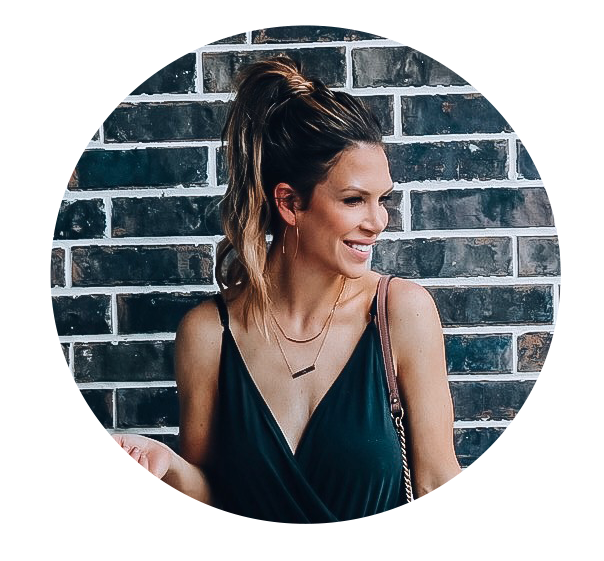 For years I have struggled with organizing my jewelry but things would get lost and tangled and mixed together and ultimately a huge mess! FINALLY and I do mean FINALLY, I feel like I am happy with my set up...for now at least! I think its just so pretty to look at. I just love it! The picture frame and little clock on my table are from Hobby Lobby. 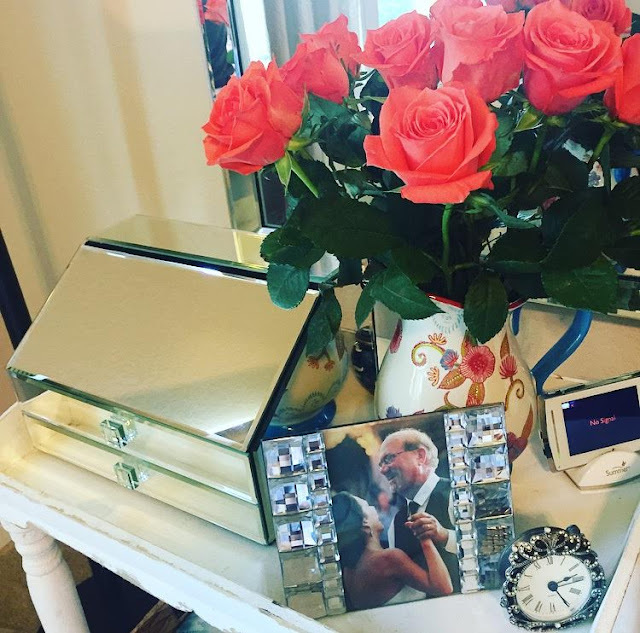 My dad passed away less than a year ago, so I keep a picture of us from my wedding right next to my bed. This is one of my favorite pictures of us so waking up and seeing his smiling face brings a lot of peace to my heart. I am sooooooo very happy how all this turned out! I can FINALLY SEE EVERYTHING! haha! 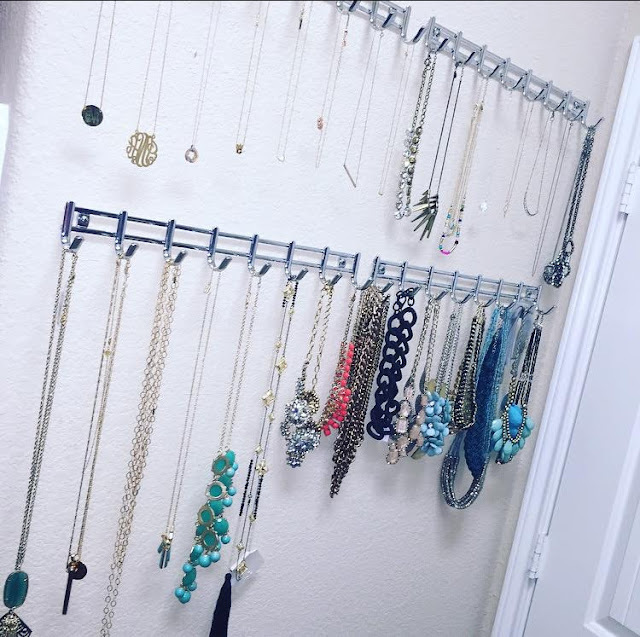 I got these Axis 8 Hook Wall Mount Racks from The Container Store and they are PERFECT for necklaces! No more tangles...no more lost jewelry! AND they are just $14.99 a piece! 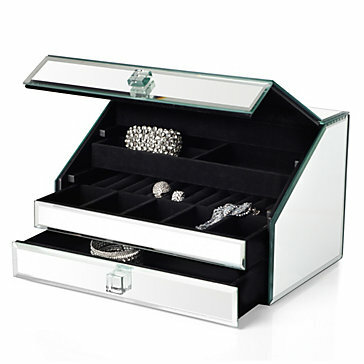 I'll link some additional jewelry boxes below! I hope y'all have a great Tuesday and let me know what your favorite jewelry organization is!